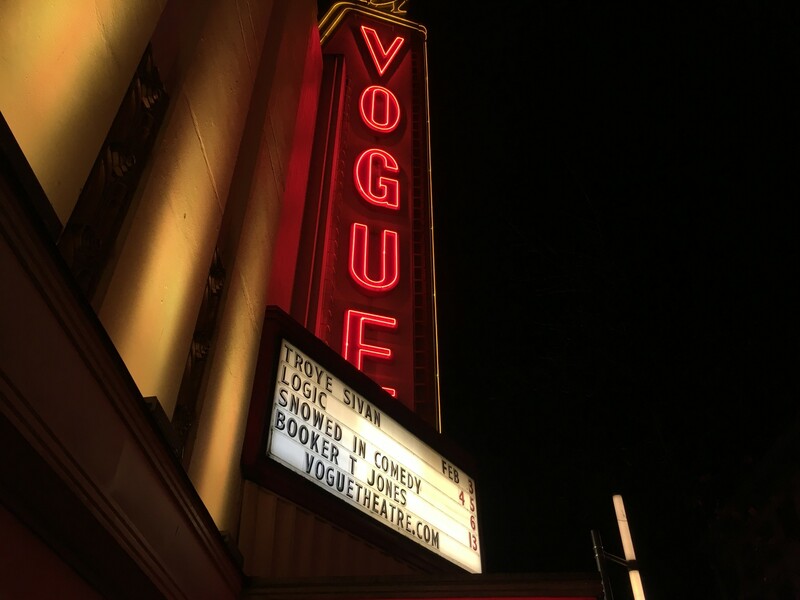 Troye Sivan, the Australian singer/songwriter, took the Vogue by storm on Wednesday night. Not only was this the first show of his tour, but it was also his first show in Canada, and Vancouver welcomed him with open arms and ear-splitting screams. The demographic of the show was made up of around 90% grade twelve students, mostly female, who’d been lining up around the block way in advance of the doors opening on Wednesday night’s show. 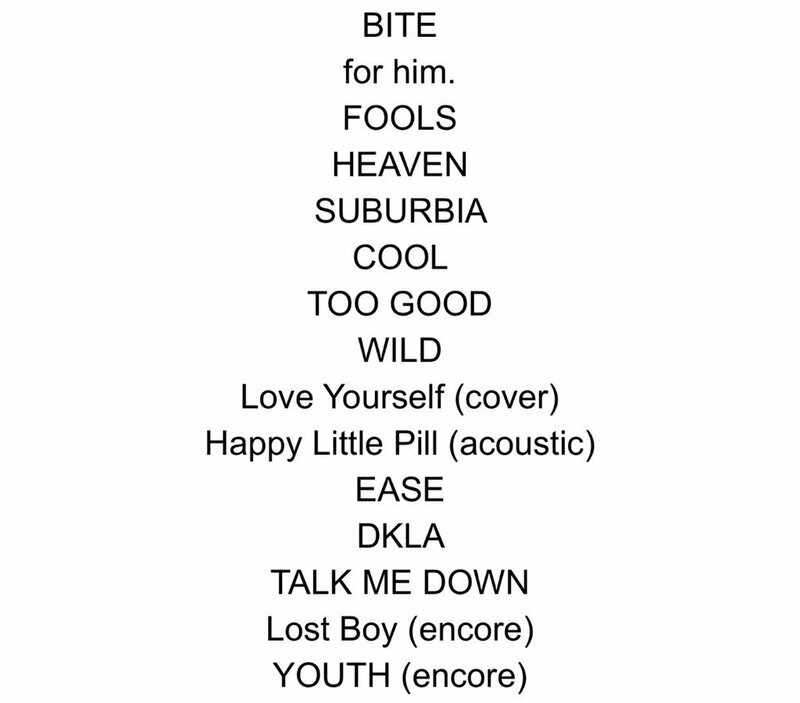 As a result, maybe I’m just too old to understand what the opener, ALLIE X, was all about. From her bizarre costume choice to her weird choice of choreography that wasn’t appropriate for such a small venue, I just didn’t get it. The audience seemed to feel the same way too, aside from a few occasions of cheering brought on by the mention of Troye’s name. She could sing and I respect her bold choices, but it just didn’t translate in such an intimate venue. After that, it was time for Troye to take the stage. Troye made his grand entrance in silhouette and the audience was instantly put under his spell. 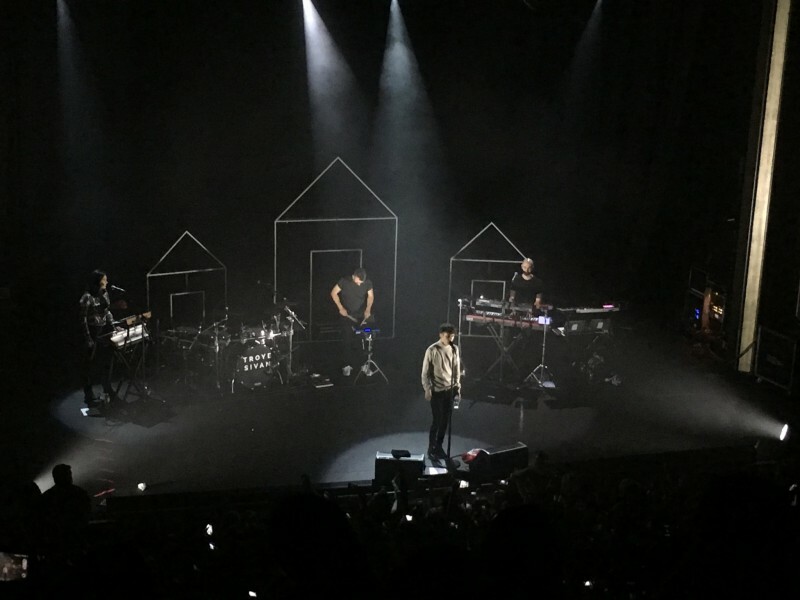 His first song “Bite” was off his newest album, Blue Neighbourhood, and perfectly set the chill tone of the evening. Sivan just makes you want to be his best friend. He’s incredibly charismatic but humble and the interludes where he talked between songs were reflective of his quieter side, which makes him unique as a performer. He’s very down to earth, making him easy to connect with as a performer. It also helps that his music is catchy as hell. The set was perfectly minimalist. Consisting of three stick drawn house outlines that can be lit. The lighting was a spectacle in itself, timed out with the lyrics of the live songs, the onstage set up added another dynamic layer to the show. Sivan’s voice matched the sultry, borderline apathetic drawl that appears on his album but in person, his voice sounded warmer and inviting. The smoky atmosphere, the amazing vibe of the venue, and his amazing live renditions of the songs that his fans know every word of made the show whiz by. He took the stage for a solid 75 minutes, never letting the energy drop despite extended moments where he would stop to talk to the audience. The ease in his performance made it even more enjoyable for the audience. New to touring, Troye has a very honest approach to his work, most likely due to his background in YouTube where he’s known for his vlogs, music and parody videos. He’s garnered himself quite the following as his brand expands, with over six million followers across his various social media platforms. Described as the “most famous teenager you’ve never heard of,” Sivan has been noticed by the likes of Taylor Swift and even Adele. It was great to see him in an intimate venue like the Vogue before he inevitably moves onto stadium tours. 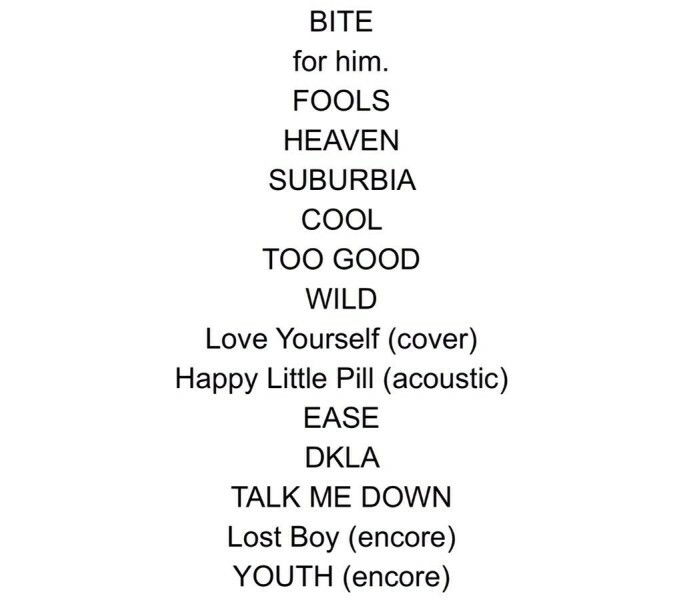 Troye Sivan continues on his Blue Neighbourhood Tour after his first stop in Vancouver. You can find his newest album, Blue Neighbourhood, and the rest of his music on Itunes.